Ferrovial has forecast the performance of its businesses for 2019 and the main markets in which it operates. this will be attained by developing the strategy, opportunities and risks analyzed in chapter 1.2 of this integrated report. The performance of the toll roads in operation during 2019 will depend on macroeconomic factors and developments in the countries or states where the assets are located and their impact on traffic volumes and revenues. The company will continue to focus its efforts on providing maximum quality of service while optimizing revenues and costs to the fullest extent permitted under the concession agreements. In Canada, and following completion of the ambitious investment plan to renovate maintenance equipment and modernize the tolling hardware for the 407 ETR toll road, the group will continue to invest in systems to optimize the management of customer accounts with the aim of maintaining and hopefully improving the high levels of user satisfaction reported in 2018. Meanwhile, the group will continue to analyze users behavior by relying on Big Data techniques as it continues to optimize revenues by improving existing tariff management processes. In the United States, the healthy economy outlook in Texas for 2019 and the sound performance of the assets to date strongly suggest that the NTE, LBJ and the 35W will all meet their expected traffic and revenue growth guidance, while achieving the target of obtaining high customer satisfaction and reducing congestion. Ultimately, this will consolidate Cintra’s leading position as an operator of Managed Lanes in the Dallas-Fort Worth area. Meanwhile, the entry into service of the I-77 toll road in North Carolina —the biggest Managed Lanes concession in the state— will provide further proof of how valuable this system is in resolving traffic congestion problems in urban corridors. In Australia, work is set to continue throughout 2019 on the Western Roads Upgrade project in Melbourne and the company is also set to open the Toowoomba toll road to traffic. In other markets, Cintra will continue to operate the assets that are already in operation, while working to complete the projects that are now in the construction phase: 407 Extension II in Canada; I66 in the United States; Ruta del Cacao in Colombia; and D4R7 in Slovakia. At Heathrow, negotiations will continue for the new regulatory period and on the process of building the third runway. At AGS, the company will continue to maximize revenues and operating efficiency through innovation and by adapting its costs to the new operating environment. At Denver, the company will continue to manage and oversee the remodeling process while opening the initial phase of the new commercial bid for the terminal. While bidding activity in 2019 will continue to focus on the North American market, new opportunities will also be analyzed in Europe and in markets that have been witnessing constant growth, such as Asia. In Spain, the prevailing political uncertainty means that growth within the sector is likely to stagnate in 2019, despite the recovery seen in recent years and the healthy state of the private construction market and relatively buoyant levels of bidding on public rail infrastructure projects in 2018. The project pipeline continued to shrink in 2018 and we expect to see a mild reduction in sales throughout 2019 as we await political decisions that will finally reactivate public bidding. In the United States and Canada, the company will continue to step up investment on transportation infrastructure with federal support in the form of the US Fast Act, the Federal Infrastructure Plan in Canada and steady increases in state and provincial budgets. Texas was a notable example in 2018, reaching an all-time high in road bidding and this trend is set to continue looking forward to the mid term. Following the November 2018 elections in the United States, the parties have announced their mutual intent to invest more heavily in infrastructure, pending a decision on funding. This heightened investment, notably on projects such as P3/DBF, where Ferrovial is lead partner alongside Ferrovial Agroman as constructor, will ensure a sound pipeline looking to the future. 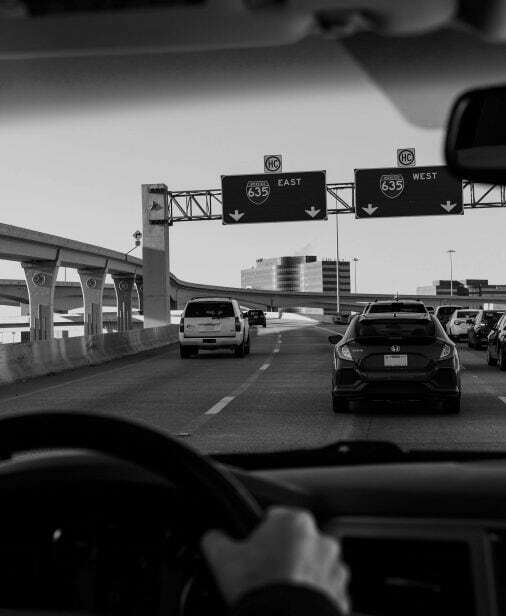 For 2019, we expect to see an increase in sales as various large projects now in the pipeline come to fruition, including the I-66 (Virginia) and Grand Parkway (Texas) toll roads, Denver Airport (Colorado) and the I-10 y SH146 toll roads in Texas, which were awarded to Webber in 2018. In Poland, public bidding will remain healthy, thanks to the increased budgets and time frames for the country’s long-term road and rail plans, which count on the support of UE 2014-20 funding. Meanwhile, the EU’s new 2021-27 financial framework (now being negotiated) will provide added stability down the line when it comes to funding and aid for Poland. In 2019, we expect to see more muted sales growth due to more selective bidding strategies aimed at mitigating pressures on profit margins within the sector resulting from the sharp increase in labor costs and raw material prices and in the long term for the award of road projects. Turning to the United Kingdom, and despite the uncertainties surrounding Brexit, current policy continues to support large infrastructure projects on both the short- and medium-term horizons, as recently shown by the majority vote among MPs green-lighting the third runway at Heathrow Airport. In Australia, the federal government and the states have maintained a robust project pipeline. However, sales for 2019 within these markets will be down on previous years due to the reduction in contracts awarded in 2017-18. The outlook is also relatively bright in Latin America, notably Chile following the ambitious infrastructure investment plan announced by its new government, a large portion of which will relate to projects under concession. Sales in 2019 will see some growth after the company successfully arranged funding in 2018 for the Ruta del Cacao toll road in Colombia and also because of the significant contracts awarded in Chile, including Rutas del Loa and the high-voltage Pan de Azúcar transmission line. In short, moderate sales growth is expected for 2019, but with promising opportunities to win contracts down the line. Last but not least, profitability margins are expected to remain below historical levels, in line with what happened in 2018. The company now aims to concentrate on selective bidding, on maintaining strategic discipline when selecting projects and countries and on implementing new control measures and active commercial management to improve the performance of its construction activities. The outlook for Ferrovial Services in 2019 across all its main markets remains favorable. The company will press on with its strategic priorities: growing and optimizing the services order book (assigning resources and capacities to the most attractive prospects while selling non-strategic lines), improving operating margins and optimizing overheads. In the United Kingdom, an economic growth similar to 2018 is expected, with considerable uncertainty regarding the impact of Brexit. While restrictions on public spending will continue in the short term, the government has now announced an end to the austerity measures. Budgets for some departments have already increased, including Network Rail, whose budget has been raised by 15% for the coming five years. The government is fully committed to the reform process. By ensuring a more balanced transfer of risks, it will make the services market more attractive to efficient and innovative suppliers. Development of negotiations for the resolution of the contract with the Birmingham City Council. Slight improvement in operating margins, but which will still remain below the target range. Focus on growing the most attractive business lines, such as consulting, rail, roads, services to the Ministry of Defence and utilities. Optimizing costs with the second phase of the Fit 4 the Future program, focusing on the structure of contracts, process reengineering and information systems. In Australia, macroeconomic indicators continue to impress, driven by population growth, healthy public accounts and the steady recovery of the mining, oil and gas sectors. Consolidation of the strategic framework defined in 2017 after relinquishing the immigration contracts. Significant growth driven by an attractive pipeline. Consolidating business activities and maintaining a solid competitive position (administration, transportation and natural resources). Growing business lines that offer synergies with the company’s existing capacities. Exploring opportunities to penetrate new sectors (waste management and energy efficiency) by unlocking strategic the strategic capabilities of Ferrovial Services. Improved margins by consolidating and rolling out projects with high added value (such as Parklea, Shell-QGC) and by optimizing overheads through the Fit for Growth program. In Spain, we expect macroeconomic conditions to remain stable during the year, although growth will be down on previous years. It is set to be an election year, with the ensuing political uncertainty and possible delays in bidding processes, large road concession projects and hospitals. Turning to the regulatory landscape, recent European regulations to promote the circular economy have opened up numerous opportunities for large projects relating to waste valorization and energy efficiency. We have also seen a new law on public sector tendering, which will affect the volume of services awarded to companies. Renewal of large contracts with public authorities. Organic growth in markets where the company already has a strong competitive position (waste treatment, facility management, industry and energy efficiency). Rolling out new high value-added contracts (e.g. Bicing). Streamlining activities and contracts yielding low returns on investment. Operational efficiency programs, integration of new technologies and data analysis. Operating leverage and cutting overheads. The business of Ferrovial Services International will continue to combine growth and profitability across all regions. In the United States, where the macroeconomic outlook is particularly bright, the company will continue to focus heavily on its commercial and bidding activity as it seeks to earn a bigger share of its existing road maintenance and petrochemical infrastructure businesses, though first it will need to streamline and stabilize both businesses. Meanwhile, it will explore opportunities in new sectors such as airport services and energy efficiency by relying on the unique capabilities of Ferrovial Services. For the business in Chile, the company is confident of improving its margins and returning to its historical highs.